You told me the other day that was how you spoke to Our Mother. 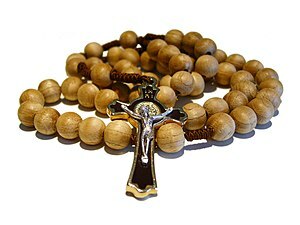 And I was confident in advising you with assurance to pray the Holy Rosary. Blessed be that monotony of Hail Marys which purifies the monotony of your sins! via myCatholic.com » Customizable Catholic Homepage.